The internet is here to stay and will continue to evolve. With the introduction and chaotic accelerated growth of the Internet of Things (IoT), online threats will only become more sophisticated and malicious. 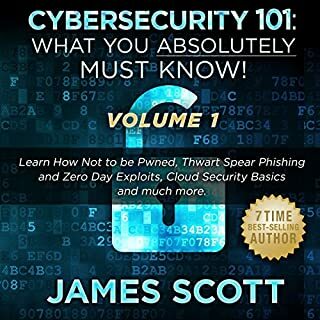 A baseline comprehension of cyber self-defense is paramount, and proper cybersecurity hygiene is essential to protecting yourself, your family, and your business from hackers and to thwart virtual threats that have gone viral. Excellent start to my cybersecurity education! This book gave me a little more than the basics and equipped me with the basic understanding of the subject matter. I start a cyber certification program Monday and i feel i have a good base to begin my journey.